The Phillies beat the 1st place Nationals Friday night by a score of 4-2. It was a very satisfying win considering that these teams have essentially switched places this year, with the Phillies going from 1st to worst for most of the season. It was probably also very satisfying for Kyle Kendrick who pitched very well for his 3rd start in a row. Kendrick has received a lot of well deserved criticism for his mostly inconsistent play. But he does seem to have finally turned things around and fixed whatever issues he was having. Sadly though, his 21-inning scoreless streak was snapped last night when he gave up a 2-run bomb in the 7th. Kendrick still pitched a very good game, allowing only 4 hits and 2 walks in 6 2/3 innings. And the offense helped him out with a couple runs sprinkled here and there. They did, however, leave a number men on base again, which seems to be a recurring theme. But the 4 runs and seven pitchers (yes, 7) were enough to get the win. 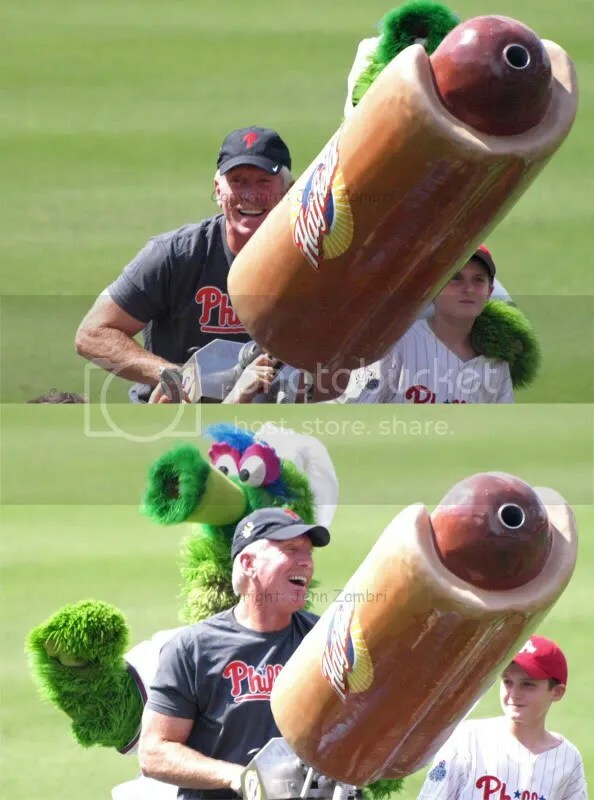 Manager Charlie Manuel played bullpen roulette in the 8th inning, going through one pitcher after another to get to Jonathan Papelbon in the 9th. Luckily, the moves paid off and the Phillies grabbed Game 1 from the Nats. Before the game, there were whispers of some drama going on behind the scenes regarding relief pitcher Michael Schwimer, who was demoted to Triple-A on Thursday. Schwimer pitched on Sunday, but now claims to be injured with a sore bicep. Upset about the demotion, Schwimer is apparently saying he should be on the DL, not in Triple-A. However, the reasoning behind this complaint may be because, if he is put on the DL, he keeps his major league paycheck and time clock in the bigs running. So is he really hurt or is he just pissed and wants his money? The Phillies seem to think he is just fine. All pitchers have soreness throughout the year; that does not necessarily constitute an injury. But Schwimer intends to fight the demotion; he did not report to Triple-A and is instead seeking another medical opinion. 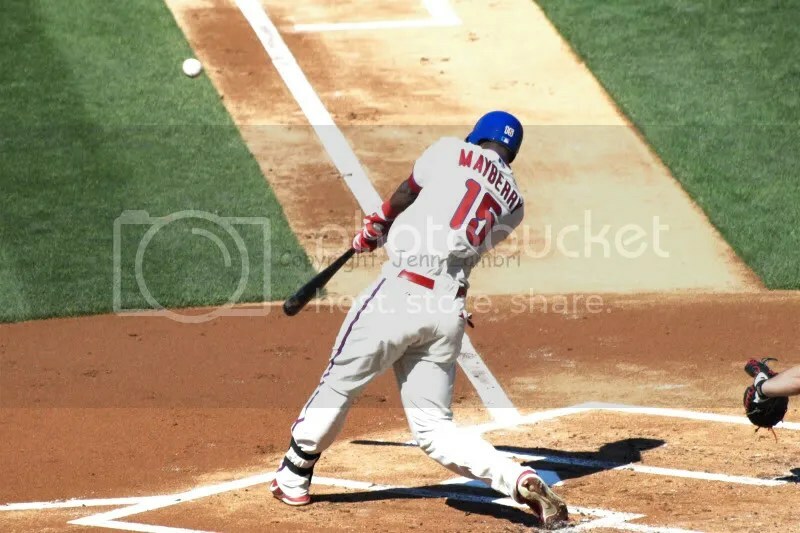 He announced moves that had not been released to the public yet, prompting a strict talking to from GM Ruben Amaro Jr. On top of that, his performances on the field since then have ranged from good to awful. The lack of consistent play, and perhaps his attitude, may be the most likely culprits behind the demotion. If that is the case, Schwimer is making a huge mess of what was previously a good opportunity for him. If he is in fact hurt, fine, he has every right to complain. 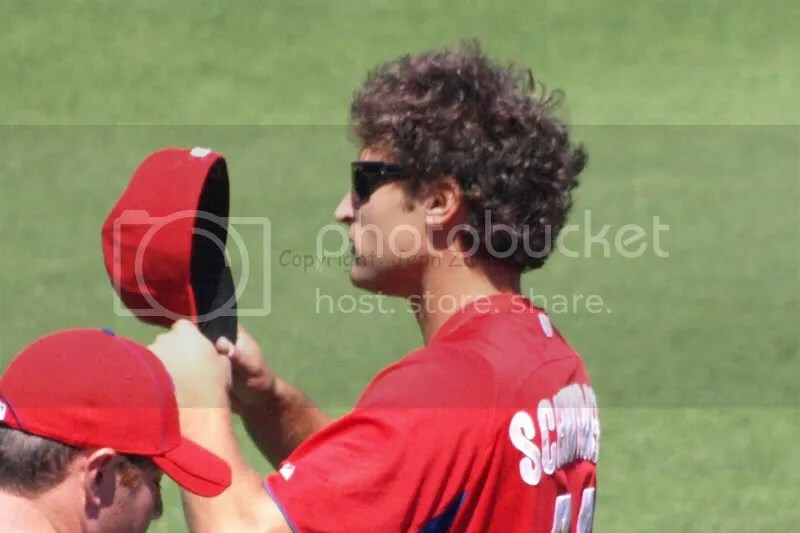 But if not, with this being the 2nd time he has pissed off Phillies management, Schwimer may be in very hot water…scalding, actually. I hope for his sake that this ends well. On to tonight’s game! Game time is 7:05pm and I will return sometime on Sunday with photos…see you there! 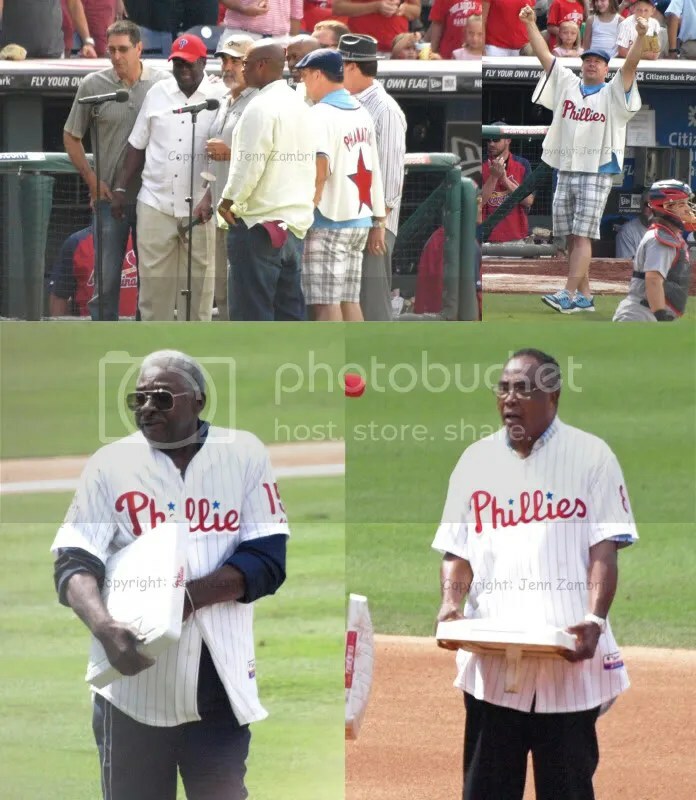 A rare event this year for the Phillies has been having all aspects of their game working together at the same time. In an 8-0 win over the Brewers, the pitching, offense and defense all performed very well. On the mound, Kyle Kendrick took one more positive step towards earning a spot in next year’s rotation. He went 8 innings, allowing only 3 hits, 1 walk and no runs. It was his second shut-out start in row. As I have said before, we all knew Kendrick could pitch. It was just a matter of seeing some consistency from him; and now, Kendrick appears to finally be on a roll. The offense did not disappoint either, although it came from a few odd sources. Michael Martinez, who is hitting only .153, came up with a huge 2-run homer in the 2nd inning to get the Phillies an early lead. Both Domonic Brown and Kevin Fransden each had 3-hit nights, with Brown collecting 4 RBI. It was a monster night for Brown who is trying to prove he belongs in the Bigs. Fransden is opening many eyes with both his offense and his play at 3rd base. Fransden is really a middle-infielder, but he has adapted very well to the hot corner and has the arm to handle it. 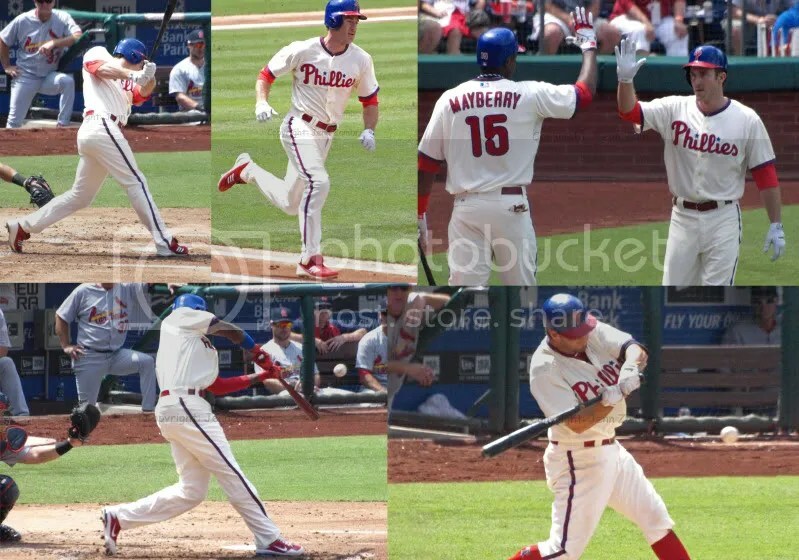 If he continues to improve, the Phillies may have themselves either a very cheap 3rd base option for 2013 or a solid utility guy. 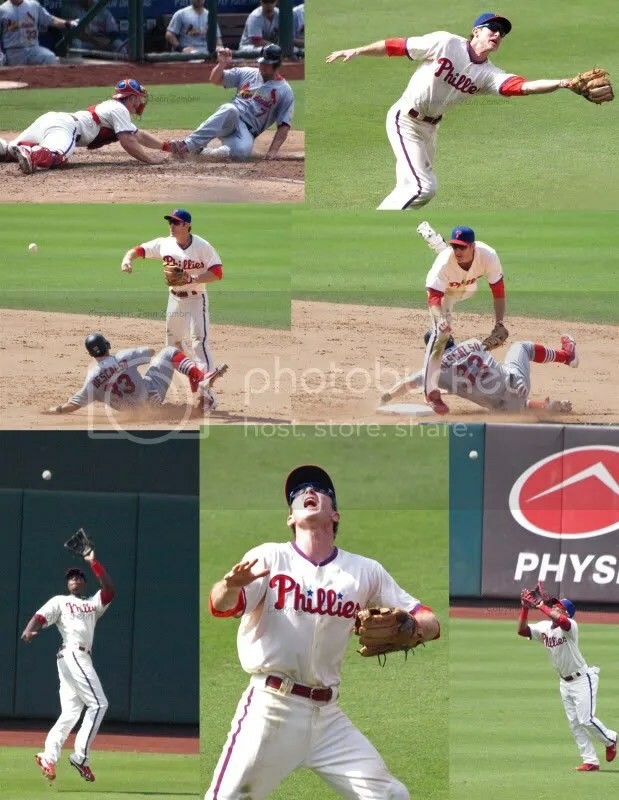 And finally, in the win last night, the Phillies actually got through a whole game without committing an error! Hooray! 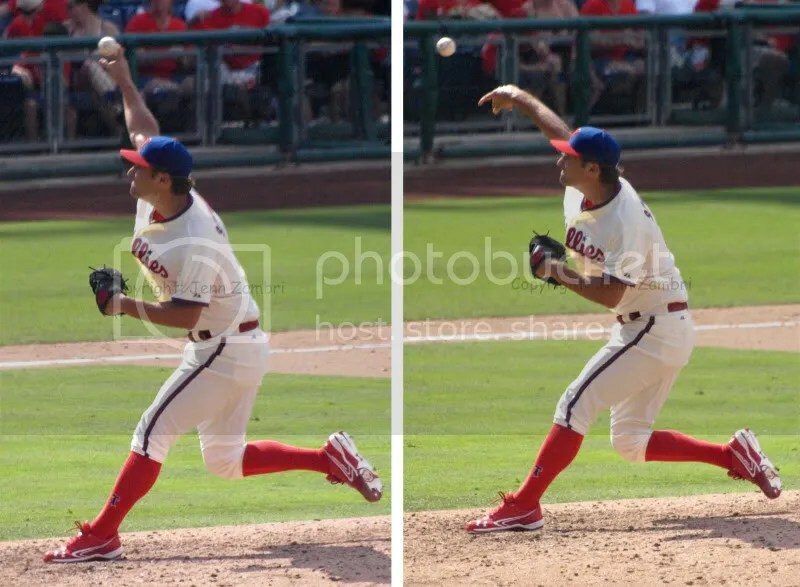 Michael Schwimer pitching in the 9th was as close to an error as they got. Schwimer loaded the bases before finally recording all 3 outs and keeping the shut-out intact. The Phillies return home to begin a series with the Reds tonight at 7:05pm. 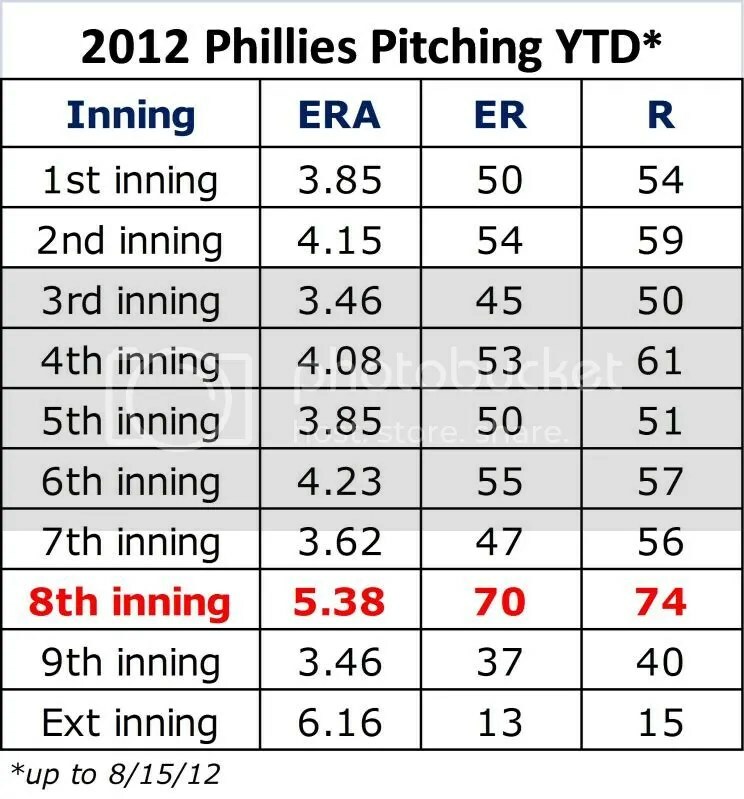 Roy Halladay will pitch and try to notch 3 wins in a row for the Phils! 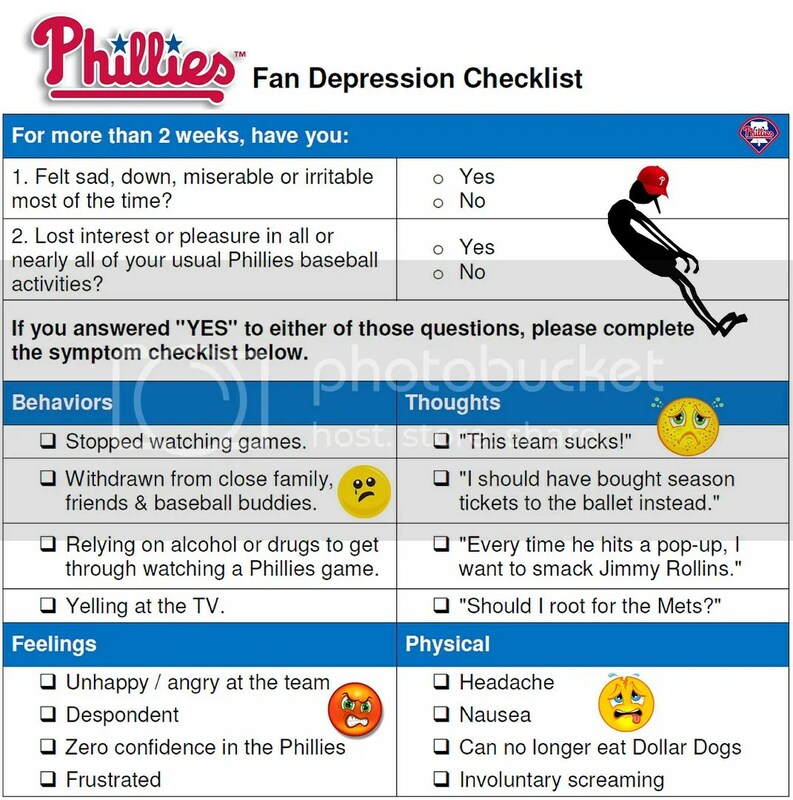 If anyone was really hoping that the second half of the season was going to be a positive turning point for the Phillies, all hopes were dashed quickly after a depressing 6-2 loss to the Rockies last night. But it really only took 1 at-bat to see that things were still not going well, as lead-off hitter Jimmy Rollins popped out to start the game. Did you know that Rollins is in 5th place in all of baseball in fly-outs (does not include line drive outs) with 115? Shane Victorino is in 7th place with 112. Hey, at least they are in the top 10 of something, right? The rest of this team, however, is out of excuses. They are not hitting, playing bad defense and the pitching…well, that has been a disaster. The bullpen imploded again yesterday as rookie Michael Schwimer gave up 3 runs. We are all pretty much out of reasons for hope at this point. Now all we can do it hold our breath and wait for the other shoe to drop. That shoe may collectively include losing Victorino, Cole Hamels, and according to a recent report, maybe Placido Polanco too. No one really knows what is in store for this team, but we can reasonable surmise, it will not be good. Continue tuning in to see the train wreck progress! Game 2 with the Rockies starts at 8:10pm tonight.